Following the WestNet disaster, Sara files for divorce from Joe and Jacob is removed as CEO of Westgroup Energy. 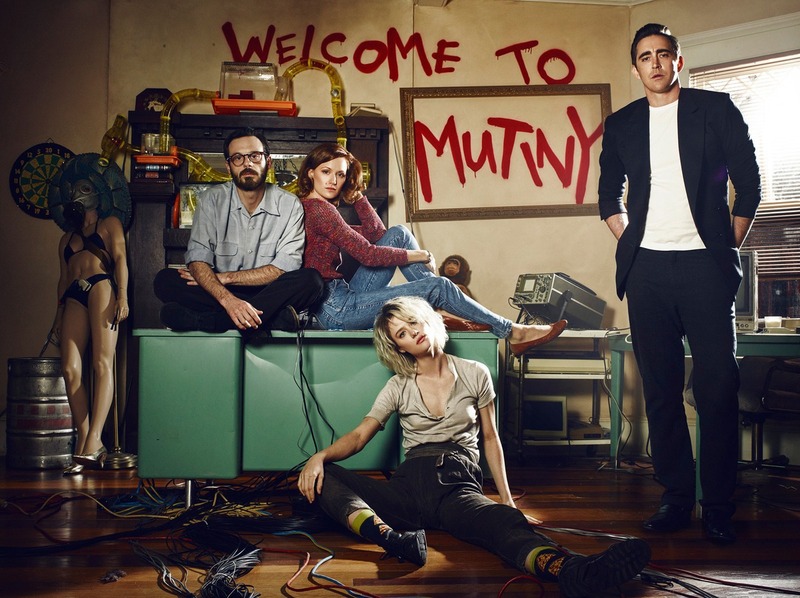 Meanwhile, Cameron grows increasingly frustrated with the new network partner of Mutiny, so she goes in search for a used IBM mainframe that Mutiny can use to host their network. Gordon is undergoing group therapy to manage his stress better so he can keep his health under control. Joe is also struggling with trying to start over yet again, and bombs a job interview despite giving it his best effort but his past sins mean that the company only gave him the interview out of morbid curiosity. When Cameron minds the IBM mainframe, Donna warns her that it is enormously expensive and it is also located in California. To buy it and move it is a bit too far out of their reach. Donna later gets into an argument with Gordon because he learns that she helped Cameron conspire to sabotage Joe's speech and Gordon thinks that Joe didn't deserve this. Gordon admits during the fight that he had a one-night affair while in California and he said that he acted out after learning he was sick and felt like he no longer had his marriage. Their daughter Joanie runs out due to hearing her parents fight. The following morning, Donna heads to Mutiny early and tells Cameron that Mutiny should head to California and start over. Gordon visits Joe at his apartment and gives him an antivirus program he wrote in order to counter Sonaris, Tabula Rasa. He wants to help Joe get his life back on track. Bosworth is at a company lunch with his son's company when he comes to realise that he has made a mistake in leaving Mutiny. Gordon and Donna are in a panic over being unable to find Joanie but they discover her hiding in the backyard. They have a talk with her to reassure her that no matter what, they will always love her. After sending her back inside, Donna tells Gordon she wants to work things out but in order to do so, they need to move to California, buy and fix up the mainframe Cameron wanted, and they will both work for Mutiny. Though they're unsure that it will fix things, Donna knows that if they stay where they are, their marriage won't make it. Joe secures another meeting with the company that had blown him off before. He infects their system with a virus and then uses Gordon's antivirus program to fix the problem and afterwards manages to secure venture capital. Afterwards, Joe tries to recruit Gordon for his latest business venture that he will be embarking on, but Gordon has to turn him down because he will be working for Mutiny to work things out with Donna, though he is happy that things have turned around for Joe. One months later, the entire Mutiny team boards their flight for San Francisco. Cameron had stopped by Tom's place to make him one final offer to join them by presenting him with a plane ticket to join them. The Mutiny team is elated when Bosworth boards the plane but unfortunately for Cameron, Tom doesn't show up to the plane. On board, Gordon reads about Joe securing 10 million dollars to start an anti-virus software firm, which is what he had been trying to bring Gordon on board for but Gordon had turned him down without knowing the extent of what he was being offered. Finally, Joe is shown to be in the Bay Area looking at office space for his company, MacMillan Utility.